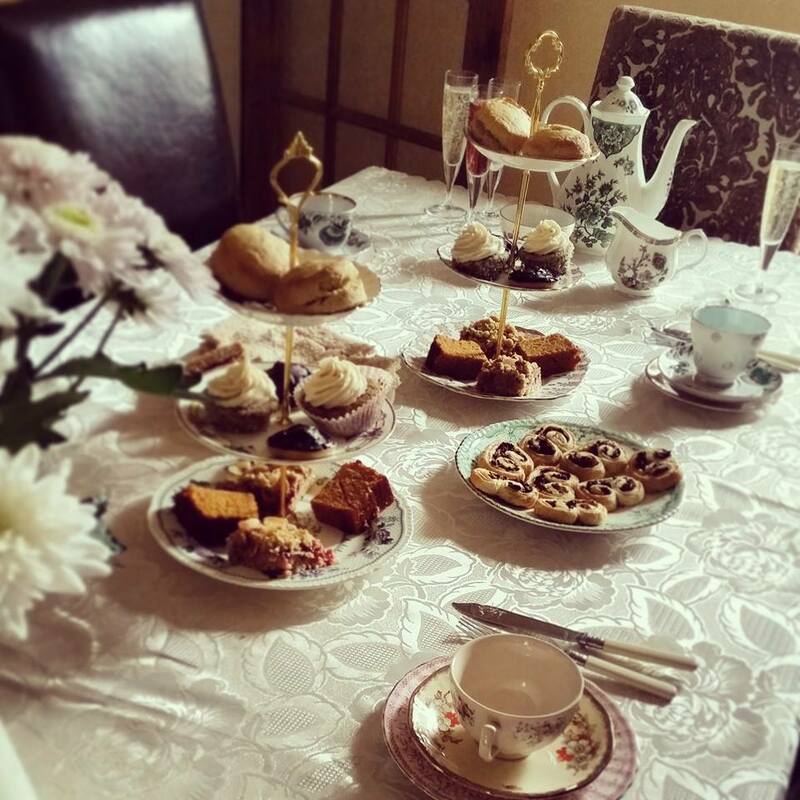 For her recent birthday, my mother expressed an interest in a celebratory afternoon tea. There are few things I love more than afternoon tea, so I was determined not to miss out on the occasion: I swiftly volunteered to provide the feast myself. And so I did, with extremely pleasing results. I put together a vintage tea set in the month leading up to it, and thought long and hard about suitable savoury options (not being a fan of sandwiches generally, it was quite tricky). But really, of course, it was all about the cake. Scones were a necessity, and the birthday girl herself requested a jaffa cake. 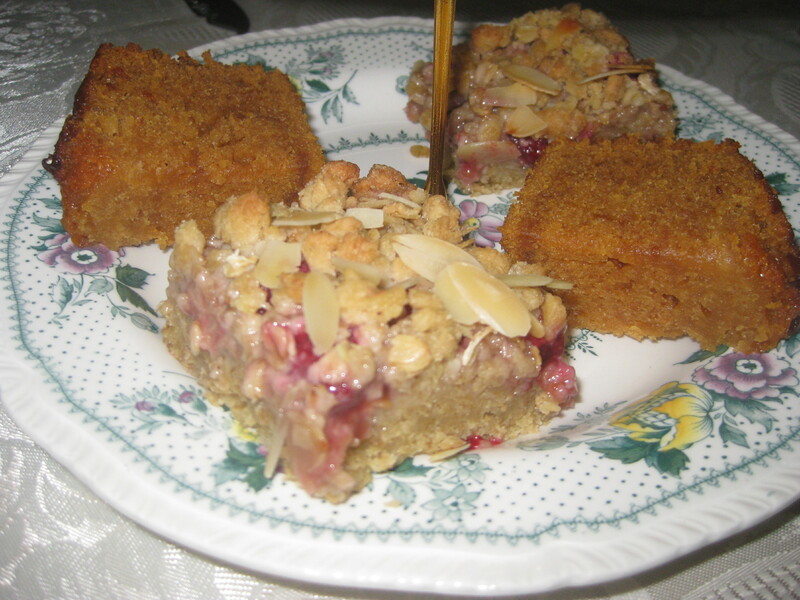 Then I opted for an easy golden syrup cake, a light and dreamy lemon poppyseed cupcake and these raspberry crumble squares. 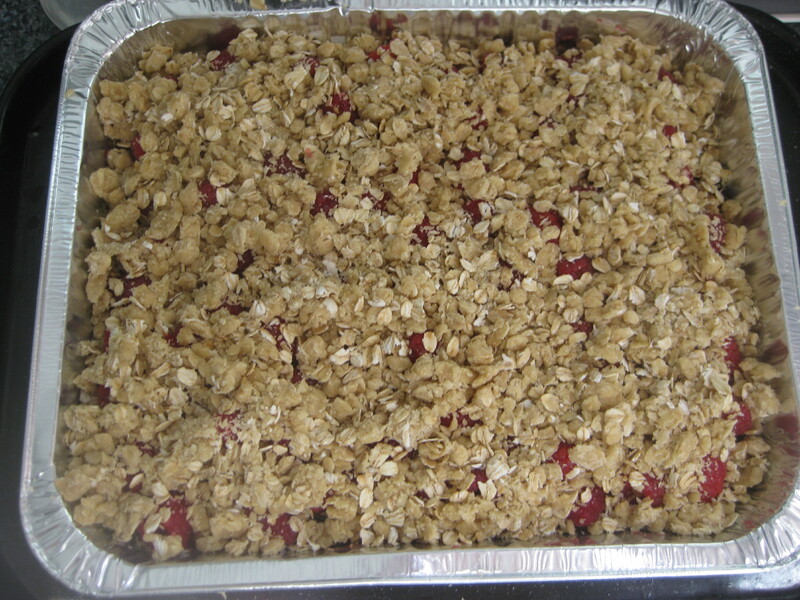 They have a delicious flapjacky base, a layer of zingy fresh raspberries and a sublimely crunchy crumble topping: very special indeed. 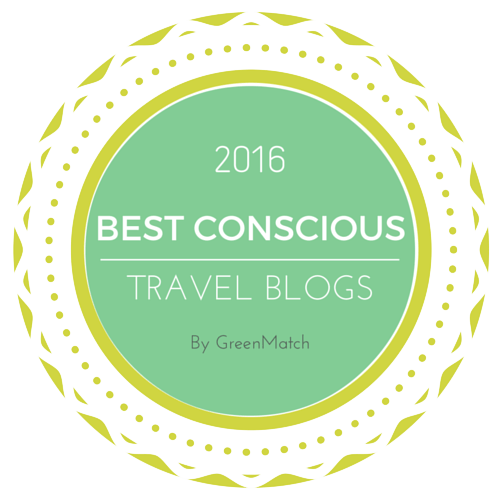 They are also easy to throw together, and keep very well – they kept us going for almost a week afterwards! The recipe below really does make a lot, so halving it might be a plan. Now I just need some more ideas for my next afternoon tea – I don’t want my pretty tea set going to waste! 1. 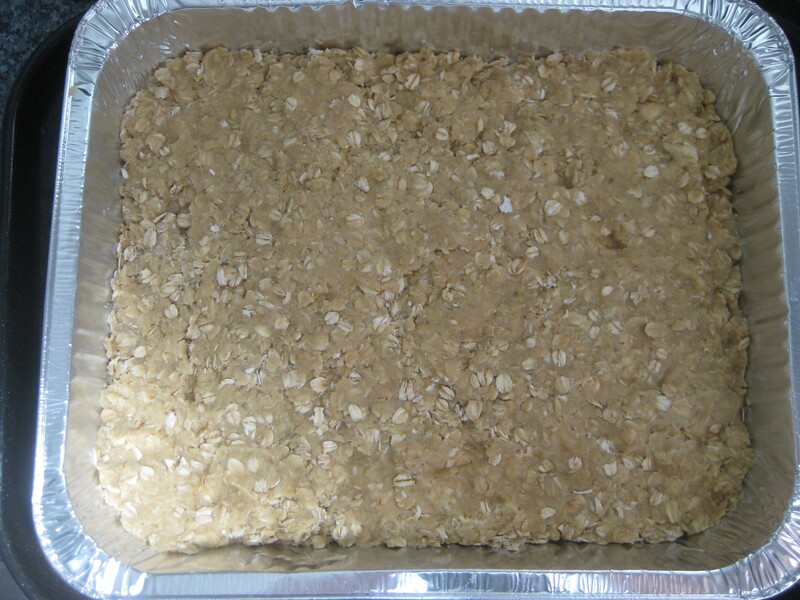 Preheat the oven to 180C and lightly grease a 33x23cm baking tin (or cheat and use a foil one). 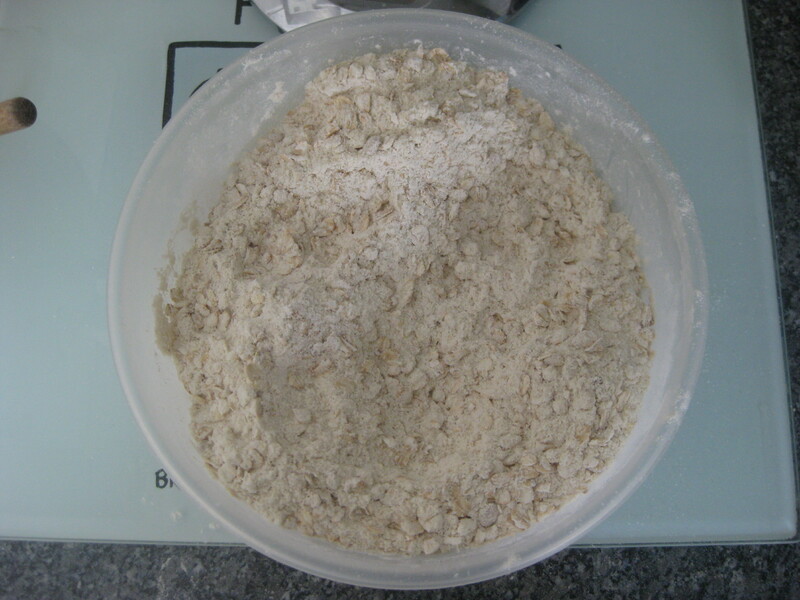 Mix together the flour, oats, brown sugar, caster sugar, ground almonds and bicarb with your hands. 2. Add the mashed banana, vanilla, margarine and almond extract and give it another good mix with your hands. 3. 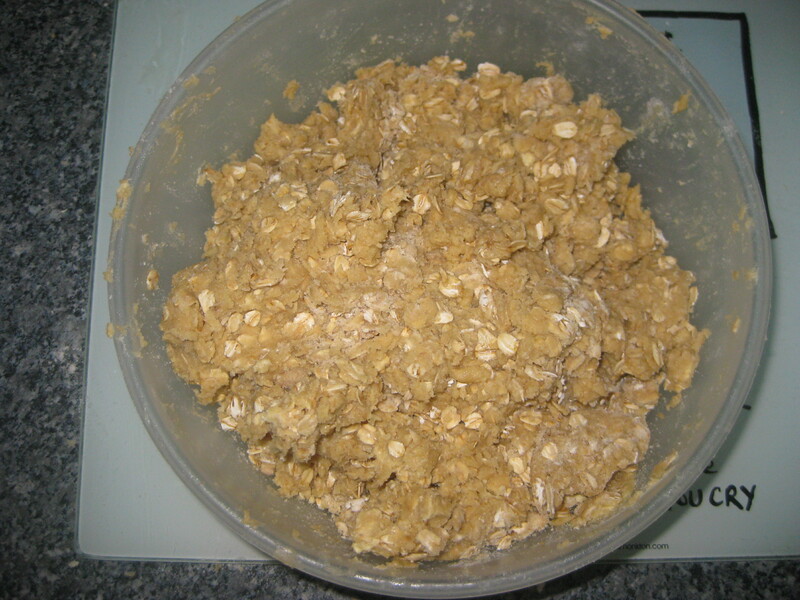 Set aside 350g of the mixture in a separate bowl, and spread the rest into the prepared tin. 4. 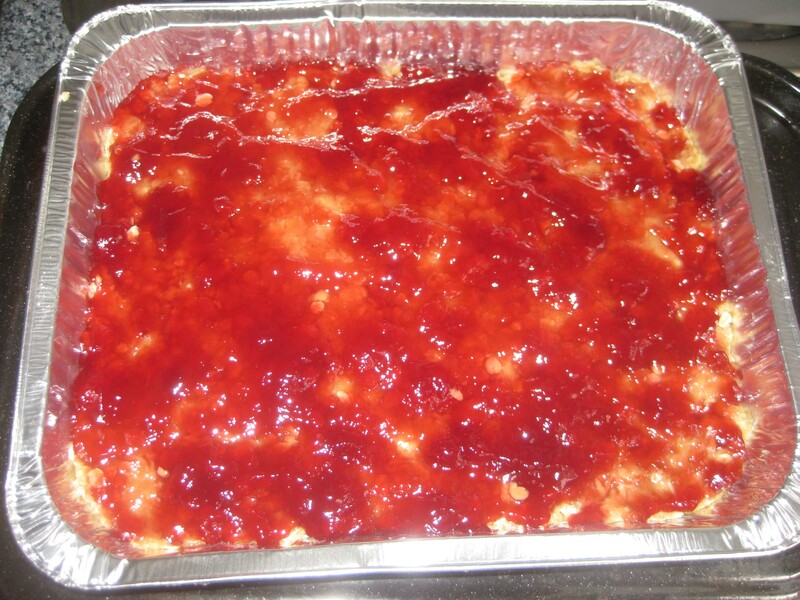 Cover evenly with the raspberry jam, then top with the fresh raspberries. 5. 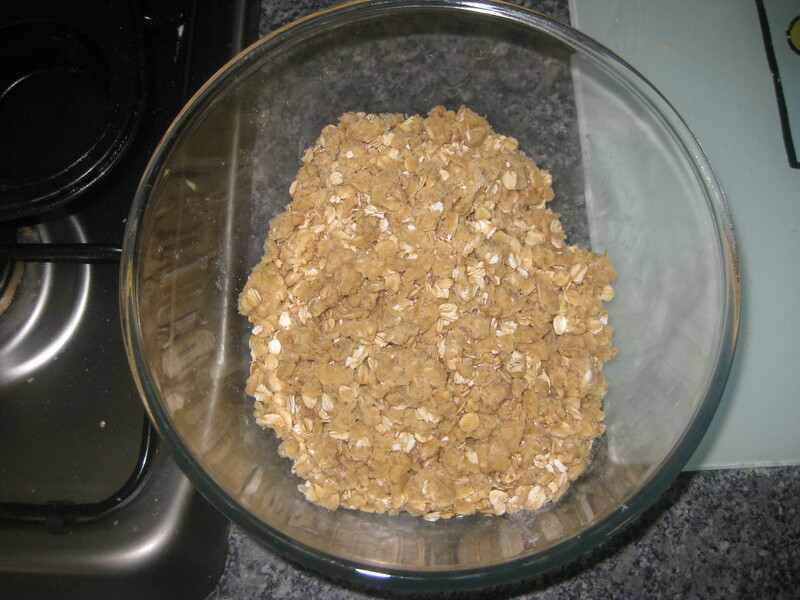 Mix together the 350g reserved base mixture with the extra flour and oats for the crumble. 6. Sprinkle this mixture on top of the fruit. 7. 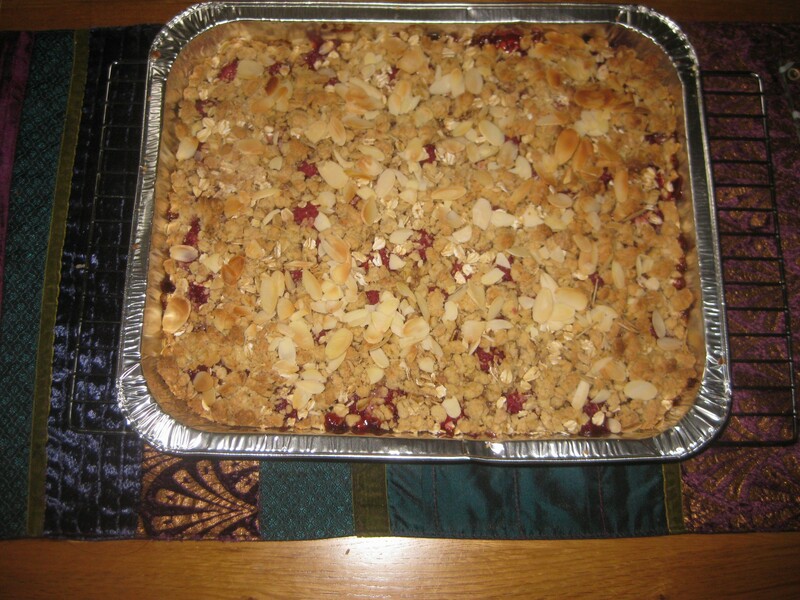 Bake for 15 minutes, then remove from the oven and scatter over the flaked almonds. 8. Return to the oven for 10 more minutes, then set the tin on a wire rack to cool completely. 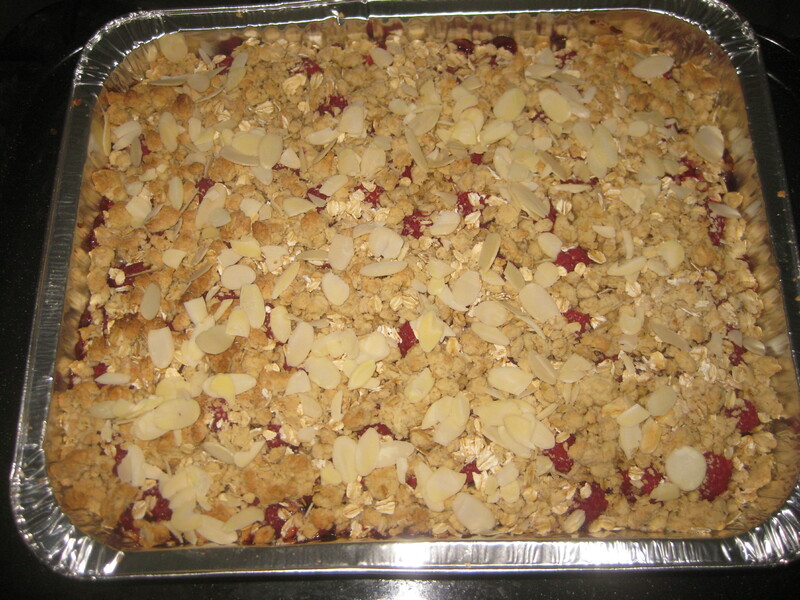 This entry was posted in Vegan Recipes and tagged raspberry crumble traybake, vegan afternoon tea, vegan baking. Bookmark the permalink.